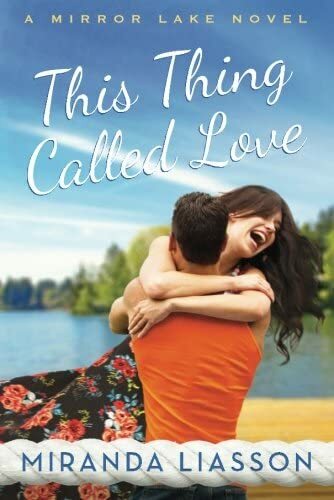 [PDF] This Thing Called Love (A Mirror Lake Novel) | Free eBooks Download - EBOOKEE! Description: Miranda Liassonâ€™s novel, This Thing Called Love is a great story. Filled with angst and romance, this novel follows the lives of Olivia Marks, a driven New York City editor and Brad Rushford, a self-made restaurateur. High school sweethearts, they are thrust back together ten years later when Olivia is granted guardianship to her niece Annabelle. And this is when the twists begin. Olivia has no idea how to raise a baby. From the very first line of the story, Oliviaâ€™s anxiety is palpable. She is a successful business woman, but knowing how to make a one-month old happy is not something she can simply check off on one of her to do lists. She is back in her hometown, away from her job and friends in New York. And then there is Brad, who brings back memories of stolen kisses and first love. And who questions if she is capable to raise Annabelle, which reinforces her own insecurities. No comments for "[PDF] This Thing Called Love (A Mirror Lake Novel)".